As a life coach and therapist, I help people rebalance their lives every day. I've had more than 15 years of real-world experience helping people successfully overcome a wider range of "unbalancers" than most people encounter in a lifetime. Together, we deal with problems large and small, immediate and chronic. 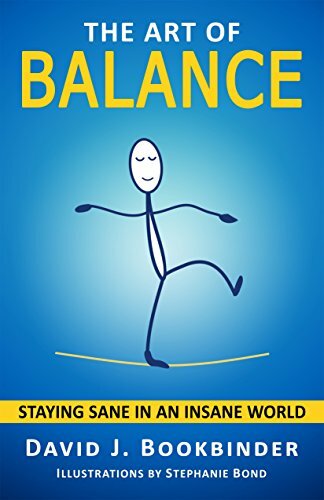 I wrote THE ART OF BALANCE: STAYING SANE IN AN INSANE WORLD to pass on to a wider audience the system of tools, techniques, and strategies that have been most helpful to my clients and that I believe will be most helpful to you. THE ART OF BALANCE distills into one book the best of what I've learned from my experiences as a person and a therapist and from the best teachers I've found. Using the methods in this book, my clients not only recover from whatever brought them down, they also grow more insightful, more resilient to stress, and better able to make choices that bring them happiness and well-being. They say that "what does not kill you makes you stronger," but this saying is only true if you know how to turn adversity into opportunity, and you learn from your difficult experiences. I hope THE ART OF BALANCE--and the cast of characters it contains--will help to guide you on the hills and valleys of your own unique journey.